Vijay Sankalp Sabhas will be held in 480 of the country's 543 Lok Sabha constituencies. Confirming the same, Union Minister Mukhtar Abbas Naqvi told media that this would be the party’s launch of its campaign for the Lok Sabha elections. The events will be held in 480 of the country’s 543 Lok Sabha constituencies, said party leaders. Naqvi said BJP president Amit Shah and other senior leaders of the party will address Vijay Sankalp Sabha in different Lok Sabha constituencies of the country on March 24 and 26. 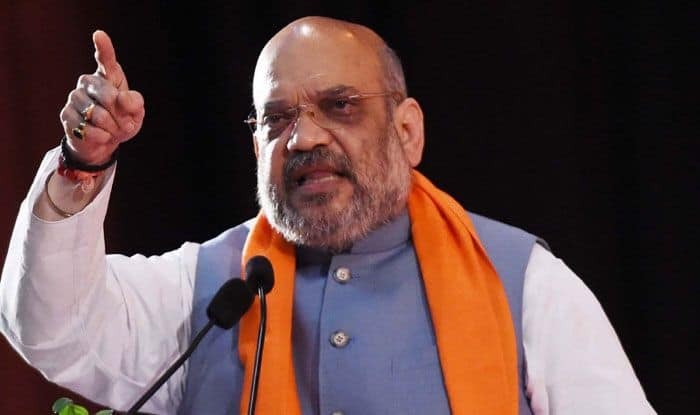 While Shah will address the rallies in Agra on March 24 and in Moradabad on March 26, Home Minister Rajnath Singh will address the campaign meetings in Lucknow on March 24 and in Delhi on March 26. Today, Nitin Gadkari will address the meeting in Nagpur while Sushma Swaraj will do so in Gautam Buddha Nagar. She will also address the sabha in Ghaziabad on March 26. Ravi Shankar Prasad will address the meeting in Patna today and on March 26, he would be in West Bengal. J P Nadda will address a meeting in Sambhal today and another in Shahjahanpur on March 26. Likewise, Piyush Goyal will be in Bareli today and in Tamil Nadu on March 26. Smriti Irani will carry out the campaign in Kanpur today and in Bhadohi, Jaunpur, two days later while Nirmala Sitharaman will address the meeting in Hyderabad today and in Udupi on March 26. Naqvi himself will be in Rampur on Sunday and in Amroha on Tuesday. Naqvi told ANI that through Vijay Sankalp Sabha, the BJP will inform the people about the work done by the NDA Government for “prosperity, dignity, and security of the country during the past five years”. Uttar Pradesh Chief Minister Yogi Adityanath will begin campaigning from Saharanpur after offering prayers at the Shakumbhari temple. The Chief Minister tweeted his plans and said, “With the blessings of Ma Shakumbhari, I will begin my election campaign from Saharanpur to wipe out dynasty politics and make way for the BJP’s victory in the upcoming elections”. Yogi will also be campaigning for party candidate Hema Malini in Mathura. Interestingly, Hema might be pitted against Haryanwi actor-dancer Sapna Choudhary who was officially inducted into the Congress on Saturday evening. Elsewhere, in Maharashtra’s Kolhapur, the BJP-Shiv Sena would be holding the first of their joint rallies. Uddhav Thackery and Chief Minister Devendra Fadanvis will seek the blessings at the Mahalakshmi temple in Kolhapur before the rally. As per the pre-poll alliance BJP will contest on 25 seats and Shiv Sena on 23 out of the Lok Sabha 48 constituencies in Maharashtra.